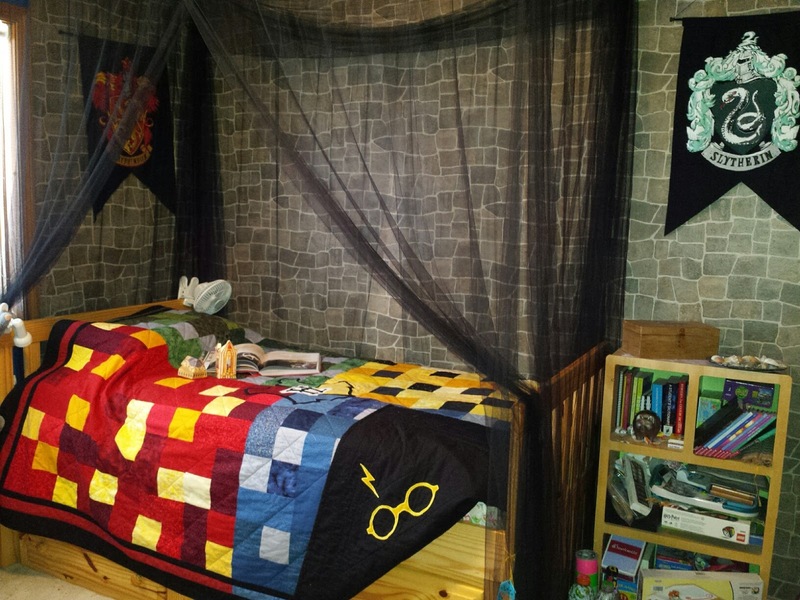 Check out this awesome Harry Potter themed bedroom...I love everything about this...the banners...the walls, the quilt! 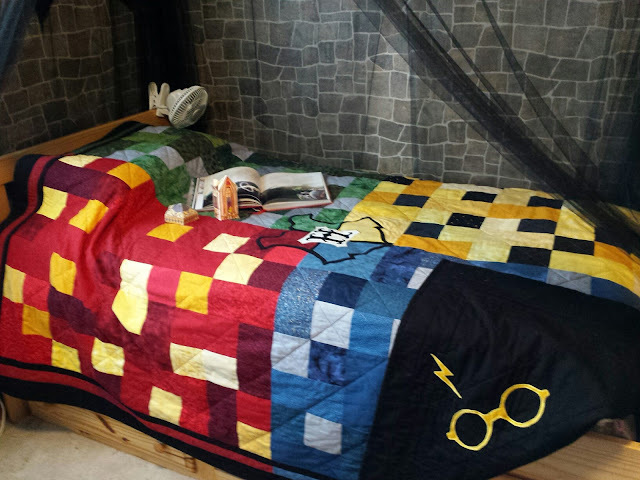 I love it when readers send me photos of projects they've done. This was sent to me Nikki and I'm sharing it with her permission. 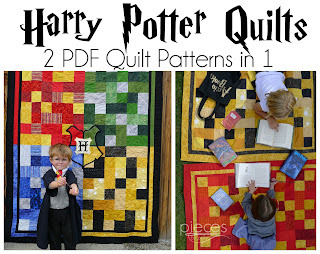 She used my 4-House Hogwarts Harry Potter Quilt Pattern to make a twin-sized quilt as the perfect finishing touch to her child's bedroom remodel. I think they did a stunning job! 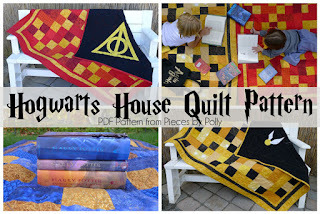 The 4-House Harry Potter pattern is available in my Etsy Shop here. 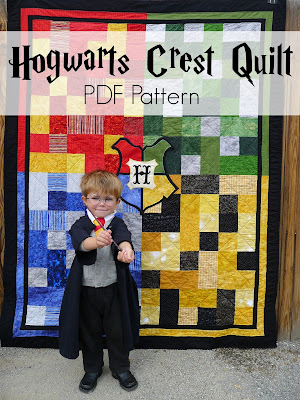 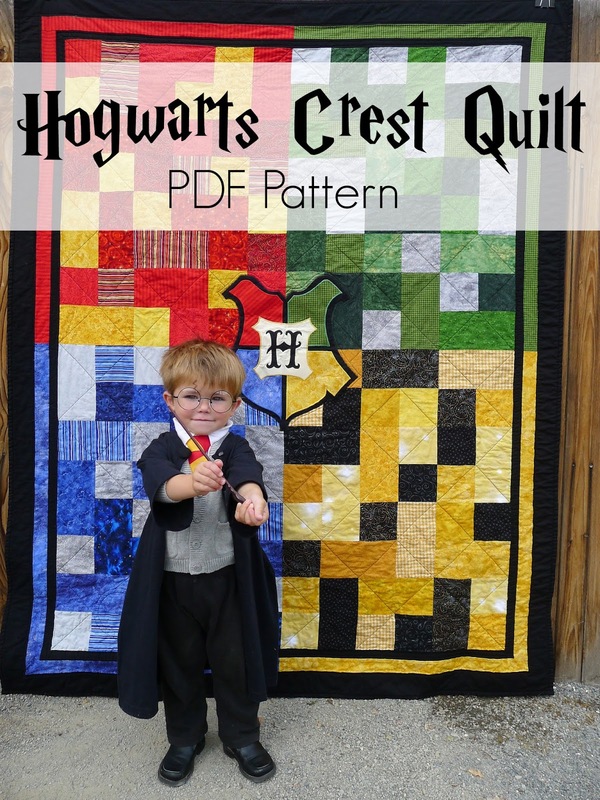 And I also have a separate Single-House Harry Potter Quilt Pattern available here. 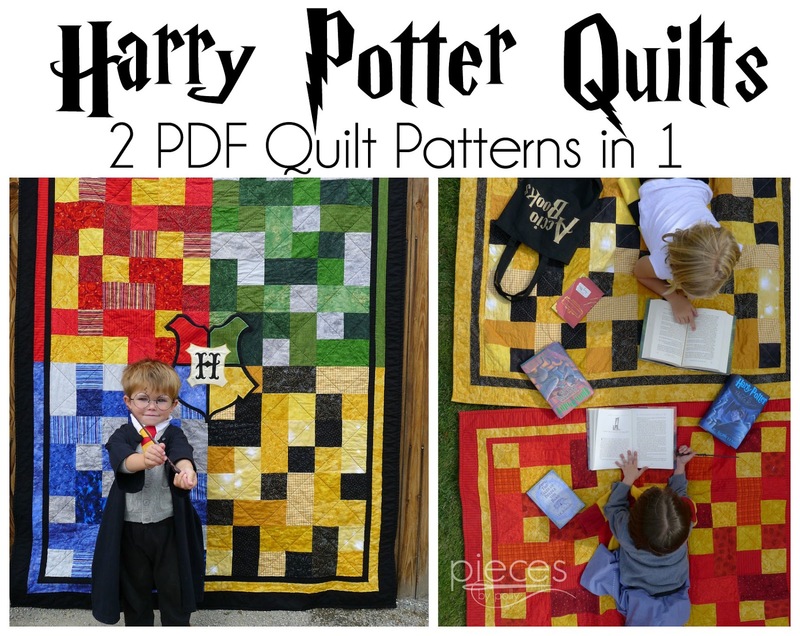 Or you can purchase them both together. 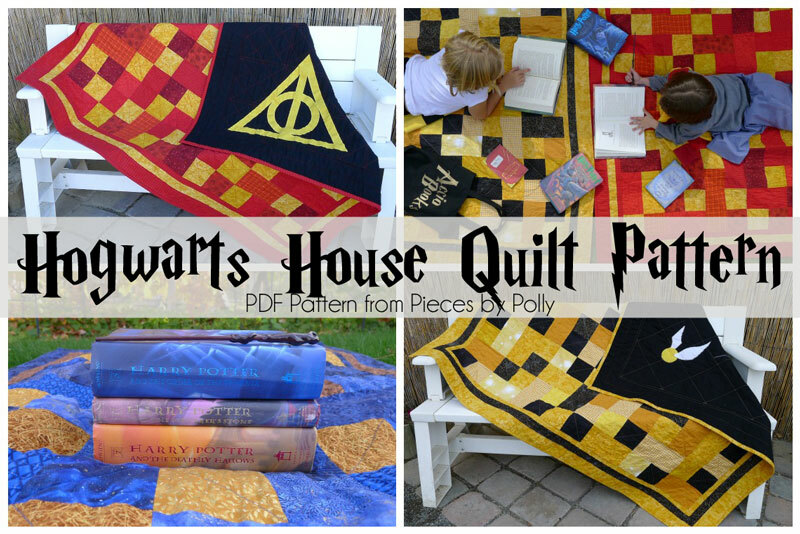 Or if you don't know how to sew, I sell made-to-order quilts of all types in my Pieces by Polly Quilt Shop.